The Penny Fundraiser - is it Worth it? 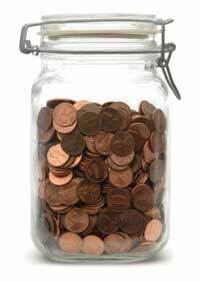 The Penny Fundraiser – is it Worth the Effort? Where do all the pennies go? They are thrown in junk drawers, in consoles and left in purses that are out of date. This happens because alone one penny is not worth that much, making people discard them without realizing the true potential. What people do not realize is that when they pool their pennies with others it can make a substantial difference in someone else’s life. No one thinks twice about tossing a penny or two in a wishing fountain or a bucket labeled Penny Drive Fundraiser! After a while these pennies begin to add up and before you realize it there will be hundreds of dollars. The only cost of this type of fundraiser is the money that you are out for containers. An unusual or clear container adds to the excitement as people watch it fill up over time. 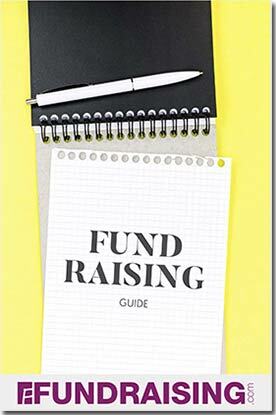 As with fundraising cans, most places of business will allow you to place jars or other containers labeled with information in public places. If this is for a school or place of business, you may need to send a penny drive flyer with all the information. A deadline for penny donations is also a very good idea. Most places hold penny fundraisers for a couple of weeks, but the time is completely up to your organization. So how much are pennies worth? That seems like a silly question doesn’t it? Of course a penny is worth one cent (or is it? ), which won’t buy very much today. What about when every person drops twenty pennies? It doesn’t take long to add up to a thousand dollars! That is not a bad fundraiser when you are only out a couple of bucks on containers and paper for flyers! If you have groups that you would like to compete against one another, say two schools, or departments within a business, that will only increase profits. This is often called a penny wars fundraiser. Most people will raid their home drawers, closets and piggy banks for pennies when it will give them a chance to win a prize or beat their rivals, in turn raising funds for your organization. Competition is an excellent motivator, especially for kids. Penny drive fundraising is a fun idea and one that many people overlook because they discount the worth of a penny. Many organizations document thousands of dollars raised by the penny fundraiser alone. It’s certainly worth giving it a shot. With a nod to Ben Franklin, a penny donated is a penny earned!